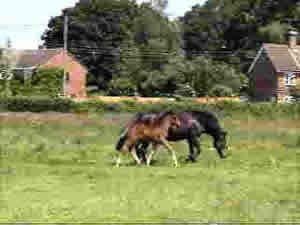 Fantasy had a lovely colt foal by Buckland Dragonslayer, Burley Magic Dragon in 2010. 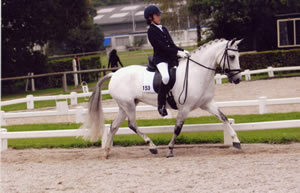 She is being covered by Supreme Champion Hollybrooke Rambler in 2011. 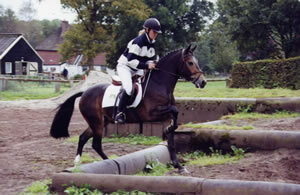 Dunlin has has a successful showing career both under saddle and in hand. 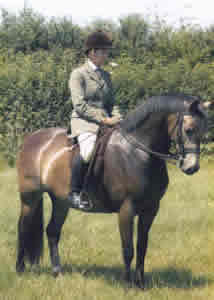 She was reserve champion mare at the breed show 2007 Dunlin is also the mother of the young stallion Burley Dunedin, who has sired some lovely stock including Mallards Wood Delphi and Bisterne Diva both notable prize winners. 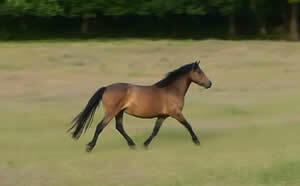 I bought Avril after seeing her in Holland and knowing how successful Valentino stock had been in both showing and performance in that country. 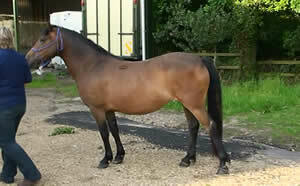 Valentino was bred in Germany and is by Vernons Vineyard and is out of Merrie Madeira. 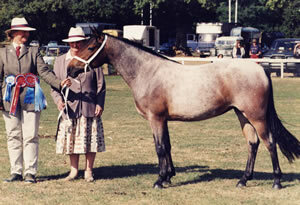 Her dam Morning Glory was bred in England by Miss Avril Darnton . 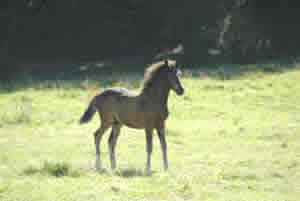 Avril's lovely 09 filly foal Burley Faith by champion stallion Luckington Sportaide has photo's on the foal page! 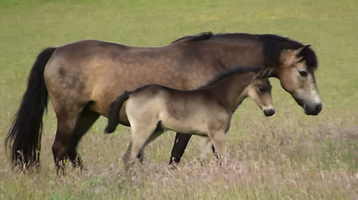 Her last years foal (08) Burley Barrister has done really well, he won the yearling class at the South of England, the NPS area 24, and was third at the Bath & West ! 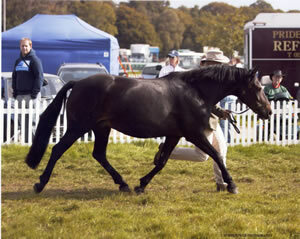 Barrister continued his winning ways taking first place at the New Forest & County as well as at the Breed Show! 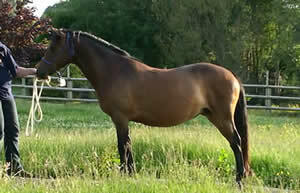 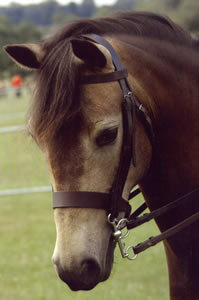 Avril has gone to Champion stallion Willoway Minstrell and will hopefully foal in 2012.